These terms and conditions apply between you, the User of this Website (including any sub-domains, unless expressly excluded by their own terms and conditions), and TechGist Africa, the owner and operator of this Website. Please read these terms and conditions carefully, as they affect your legal rights. Your agreement to comply with and be bound by these terms and conditions is deemed to occur upon your first use of the Website. If you do not agree to be bound by these terms and conditions, you should stop using the Website immediately. In these terms and conditions,UserorUsersmeans any third party that accesses the Website and is not either (i) employed by TechGist Africa and acting in the course of their employment or (ii) engaged as a consultant or otherwise providing services to TechGist Africa and accessing the Website in connection with the provision of such services. All Content included on the Website, unless uploaded by Users or so referred, is the property of Tech Gist Africa, our affiliates or other relevant third parties. In these terms and conditions, Content means any text, graphics, images, audio, video, software, data compilations, page layout, underlying code and software and any other form of information capable of being stored in a computer that appears on or forms part of this Website, including any such content uploaded by Users. By continuing to use the Website, you acknowledge that such Content is protected by copyright, trademarks, database rights and other intellectual property rights. Nothing on this site shall be construed as granting, by implication, estoppel, or otherwise, any license or right to use any trademark, logo or service mark displayed on the site without the owner’s prior written permission. b.do same as above, on other mobile and electronic devices – laptops, phones, tablets. You must not otherwise reproduce, modify, copy, distribute or use for commercial purposes any Content without the written permission of TechGist Africa. g) copy, reproduce, distribute, transmit, broadcast, display, sell, license, or otherwise exploit any Content for any other purposes without the prior written consent of Tech Gist Africa or the respective licensors of the Content. This Website may contain links to other sites. Unless expressly stated, these sites are not under the control of TechGist Africa or that of our affiliates. Any online facilities, tools, services or information that TechGist Africa makes available through the Website (theService) is provided “as is” and on an “as available” basis. We give no warranty that the Service will be free of defects and/or faults. To the maximum extent permitted by the law, we provide no warranties (express or implied) of fitness for a particular purpose, accuracy of information, compatibility and satisfactory quality. TechGist Africa is under no obligation to update information on the Website, we will however discharge our professional brand promise to deliver the latest technology news and analysis from across Africa in the best means possible. Whilst TechGist Africa uses reasonable endeavours to ensure that the Website is secure and free of errors, viruses and other malware, we give no warranty or guaranty in that regard and all Users take responsibility for their own security, that of their personal details and their computers. Furtherance to the above; Tech Gist Africa takes all reasonable steps to demand of its Writers, Editors and Contributors to ensure that the information displayed on its website is accurate and up to date but we accept no liability whatsoever for any loss occasioned to any person, firm or company (whether direct, indirect or consequential) nor for any damages (whether general, special or aggravated, punitive including triple damages), costs, claims or expenses arising from any action, error or omission on Tech Gist Africa’s part or that of its employees or agents or any other third parties in connection with the information displayed on its website. Tech Gist Africa and/or any of its affiliates disclaim all liabilities, obligations, warranties or responsibility in any event whatsoever and make no representation, either express or implied, statutory or otherwise, including warranties or representations with respect to the accuracy, reliability, completeness, fitness for particular purpose, merchantability, non-infringement of third parties rights and/or safety of the contents of this Website and any representations and warranties relating thereto are expressly disclaimed. TechGist Africa and/or any of its affiliates shall not be liable for any loss or damage arising out of your use or access, or inability to use or access, the Web Site. TechGist Africa does not warrant that the functions contained in the materials available on this site will be uninterrupted or error-free, that defects will be corrected, or that the materials, this site or the server that makes them available are free of viruses or other harmful components. You assume the entire risk and cost of all necessary servicing, repair and correction. TechGist Africa accepts no liability for any disruption or non-availability of the Website. 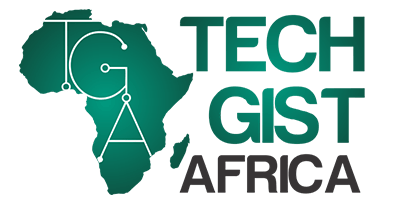 TechGist Africa reserves the right to alter, suspend or discontinue any part (or the whole of) the Website including, but not limited to, any products and/or services available. These terms and conditions shall continue to apply to any modified version of the Website unless it is expressly stated otherwise. These Terms and Conditions shall be governed by and interpreted in accordance with all applicable federal and state laws, rules and regulations of the applicable country of operation. By accessing this website and using our services, you consent to these terms and conditions and to the exclusive jurisdiction of the courts in all disputes arising out of such access. If any of these terms are deemed invalid or unenforceable for any reason, then the invalid or unenforceable provision will be severed from these terms and the remaining terms will continue to apply. Failure of the Company to enforce any of the provisions set out in these terms and Conditions and any Agreement, or failure to exercise any option to terminate, shall not be construed as waiver of such provisions and shall not affect the validity of these Terms and Conditions or of any Agreement or any part thereof, or the right thereafter to enforce each and every provision.